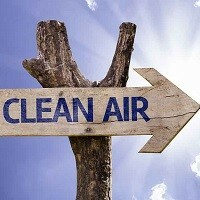 Home » FAQs » Are Air Purifiers Loud? The noise from an air purifier is typically considered ambient noise. However, depending on the model and operating speed of air purifier, the volume of noise varies. An air purifier’s noise level is measured in decibels, and each product will have its own dB(A), decibels, measurement under the specifications. The decibel, dB(A), scale is a logarithmic scale that goes up in powers of ten. The logarithmic scaled is rooted in mathematics for an applied practical approach, rather than a marketing approach. So, if an air purifier is marked as 70dB(A), it’s ten times louder than a 60dB(A) air purifier. Aside from the dB(A) noted on the product specification list, there are other factors that contribute to the noise level of an air purifier. Air purifiers that work harder operate at higher speeds, resulting in more noise. The location of the air purifier also affects the noise level. For example, don’t keep it running in your bedroom while you are trying to sleep but put it in another room not in use. An air purifier in a room with carpet and other furnishings will help absorb any noise emitted from the equipment compared to an empty room with high ceilings and wood floors. When purchasing an air purifier, look for the noise decibel label beforehand. Manufactures aren’t required to release the sound emissions on air purifiers, and a product without a label could mean it is loud. Double check the features and specifications and purchase wisely if you are concerned about the noise level relating to a new air purifier. When using a whole home air purifier, you’ll likely notice the noise less than if you use a portable room model. 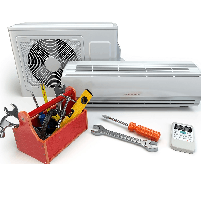 Whole home air purifiers are installed among your home’s heating and cooling equipment, typically away from your living areas. Often the noise is contained well in the utility closet, basement, garage, or other installation area. With a portable air purifier, the unit is running right in the room you are using it in. You’ll notice the operating noise more because the unit is nearby as you relax, sleep, work, and perform other activities in your living areas. What are air purifiers, how do they work, and what are the benefits of owning one? What can you do to help your allergies at home?